No interest in expensive brand products? 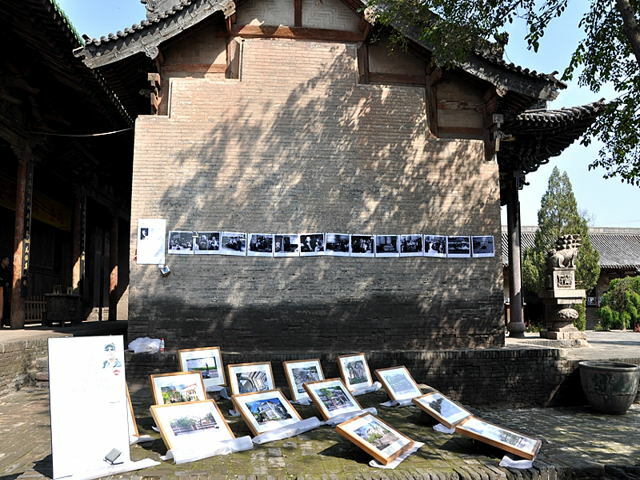 Come to Pingyao for novel handicrafts! 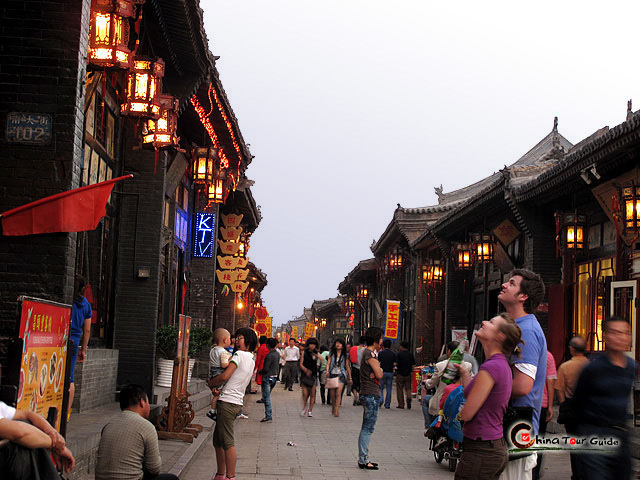 The streets of Pingyao are lined with shops that cater toward tourists. There are many special products and craftworks for sale, some of which are found nowhere else. The old town is known for lacquer wares, silk slippers, paper cuttings and cloth shoes etc. You will easily see the locals wear the cloth shoes as they march up and down the dusty streets. Try to bargain and keep an eye out for stalls that sell handmade crafts right in the places where they make them. Polished Lacquer ware from Pingyao is well-known for its elegant finish and graceful designs. The wooden craftwork is coated with paint manually for several times and polished after each coat. It will be brighter after each polishing procedure. Such process makes the craftworks endure heat and moisture thus keeps the color forever. It was reported that it was first made during the early Tang Dynasty(618-907). Popular lacquer items include jewelry boxes, cabinets for TVs and wine, wardrobes, large and small screens, bowls and plates. 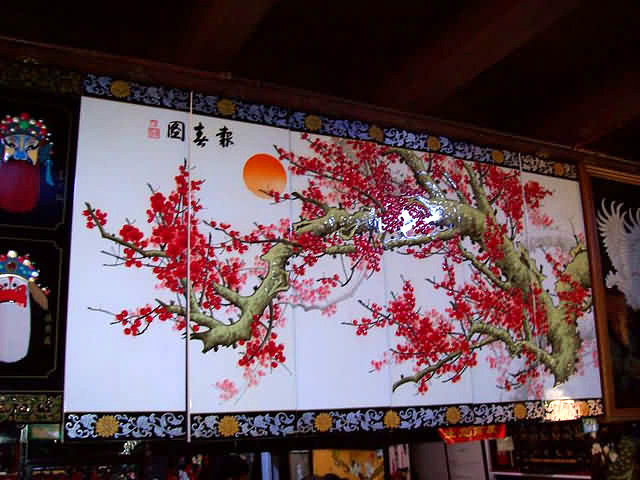 Famous lacquer items include jewelry boxes, wardrobes, large and small screens, bowls and plates. When traveling Pingyao, you will see a number of middle-aged ladies sitting in front of their homes sewing shoes for themselves. 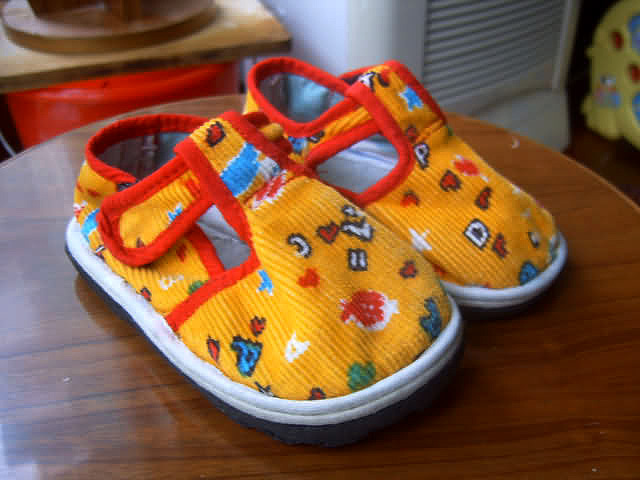 Handmade cloth shoes from Pingyao feature unique designs, elaborate processing and elegant looking. Their flexibility adapts them to the wearer's feet, making them very comfortable. They are often embroidered with figures of animals and natural flowers, which not only make the shoes more pretty but are supposed to drive away evil and bring about good luck. These genuinely hand-made shoes have the distinctive advantage of good ventilation and sweat absorption. 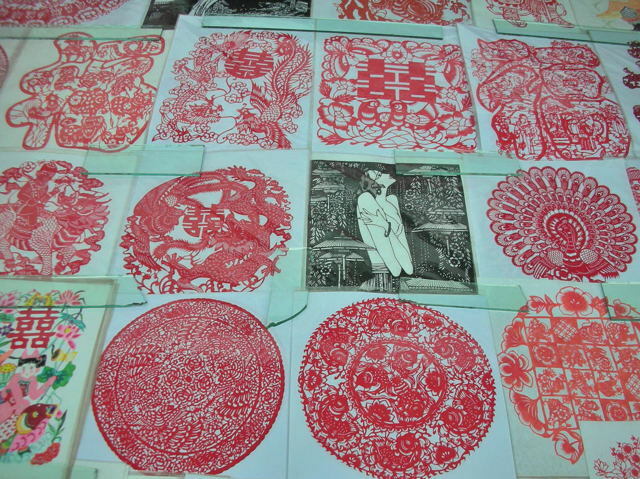 Few can imagine the existence of large numbers of paper cutting artists in Pingyao. However, it is true that a most ordinary woman walking past the old Pingyao street should be an incredible master of paper cutting art. Once every girl in Pingyao must learn paper cutting before she got married. Today, strolling along the Ming-Qing Street, you may as well pick some lovely paper-cuts at the shops. These articles are mainly about celebrations on wedding, success in government examinations and important trational festivals. Just buy who you care a piece of paper cut, expressing your sincere wishes. 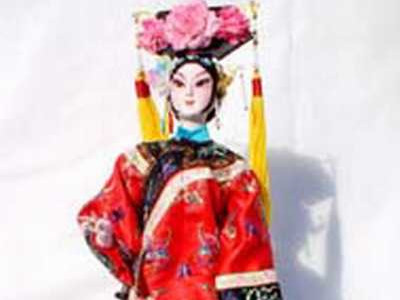 Pingyao has the custom of making silk dolls from Qing dynasty. It is a kind of proud skill for girls or women. Many famous characters in legend or theaters, which won universal praise, are embodied in silk dolls. Yun Gang silk doll is a good medium of spreading Chinese art and culture. The most famous handicraftsman is an old folk artist named Kang Qiaoling. She has made more than 300 hundred characters at the theme of Yungang Grotto and Shanhua Monastery, etc in Pingyao. They are very popular not only in China, but also in countries like America, France and Switzerland, etc.